If you have suffered an injury at the hands of a drunk driver, you need a personal injury lawyer skilled in handling drunk driving accidents in Los Angeles. That’s because drunk driving injury accidents are fraught with complexities that can range from conflicting witness statements to detailed investigations into fault. These complexities are compounded when there are several vehicles, victims and witnesses involved. It’s never wise to attempt to handle an accident claim on your own unless the injuries and damages are minimal. However, when the vehicle damages are extensive, the injuries are grave with likely rehabilitation, and there is only one obvious negligent driver who is completely at fault, your only recourse is to hire a lawyer skilled in drunk driving accidents in Los Angeles. Drunk driving coupled with excessive and reckless speeding can be a recipe for disaster, carrying with it very serious repercussions that can leave the victim with traumatic injuries. However, just because someone breaks the law when an accident occurs does not automatically mean they are completely at fault. The accident claim portion of a crash still involves a civil tort filing, which means the court ruling is based on a preponderance of the evidence when viewing the circumstances as a whole. Reasonable doubt can only apply to the criminal charge associated with the accident, but the outcome of that criminal proceeding can make a major impact on the value of an accident claim. As the victim, you may require substantial compensation to get short- and long-term medical attention after a drunk driving accident in Los Angeles. Our lawyers have vast experience handling drunk-driving accident lawsuits and are prepared to help. Contact Power Legal Group today at 800-323-POWER for a no-cost, no-obligation consultation today to learn your rights. Here’s how your lawyer can help if you have been injured in a drunk driving accident. Comparative fault is the legal tenet that most accidents are not caused solely by one negligent party, although this can and does happen often. The courts will still review cases that involve complete fault before making a 100 percent comparative negligence assessment. 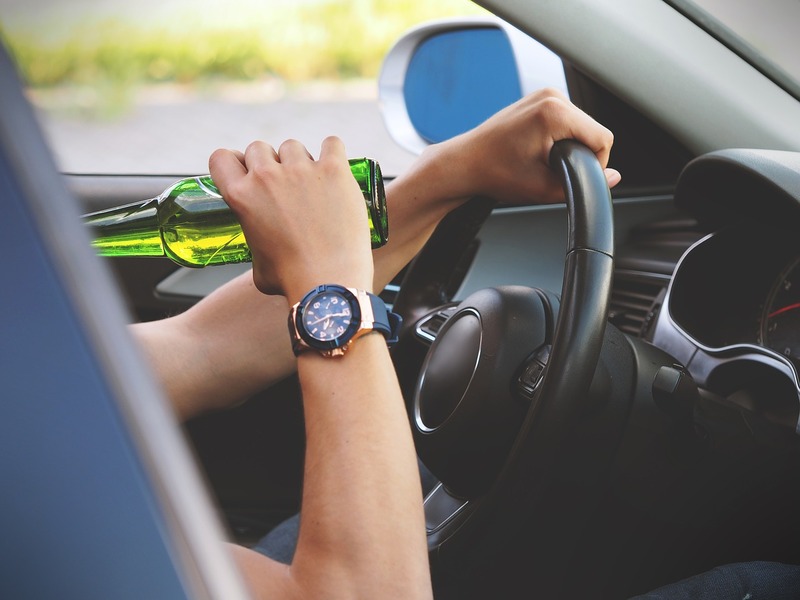 In other words, just because one of the drivers was drunk does not make a case automatic, which means it’s still important to have an experienced drunk driving accident attorney on your side to protect your damage recovery rights. Insurance company claims adjusters are trained professionals who handle serious auto accident claims every day. Their main goal is to save their company money, and they can’t do that if they pay out full awards to every case. The adjusters will attempt to lessen the value of your claim and impact the final assessment by the courts when it comes to personal negligence levels. Seeking legal counsel from a reputable and knowledgeable accident attorney will ensure you won’t get taken advantage of – something that happens more often than you think. By their very nature, auto accident attorneys are also professional negotiators and they know how to deal with the insurance company agents. Assessment for punitive damages is where your claim can really take on more value. Your attorney will aim for maximum recovery, proving gross negligence on the part of the defendant to get a higher award. State courts can adjust punitive damages that may be considered excessive, but the vital part of all this is to arrive at a favorable punitive damage award. Drunk drivers who have significant personal assets are more vulnerable in punitive damage claims even beyond the exhausted limits of their insurance. Having an experienced attorney handling your case who understands how to best use the drunk driving conviction as leverage in a claim settlement negotiation can more readily result in a maximum insurance payment agreement. Lawsuits in which a DUI and injuries are involved, criminal law and civil law often intersect in complex ways. When you turn to Power Legal Group, you benefit from a refined focus on the most complex personal injury cases backed by the most comprehensive resources necessary to hold drunk drivers accountable for your injuries. We offer free consultations and only collect a fee if we win your case. You really have nothing to lose, so contact us now at 800-323-Power.